The evolution of Rexdale Disposal is a testament to the Rossi family’s devotion and commitment to its work. A Toronto-based waste and recycling enterprise, Rexdale began in a rented space behind a gas station to grow into a three-acre property that houses over 30 crimson-coloured service trucks, a 20,000 sq. ft. building and 35 skilled employees. 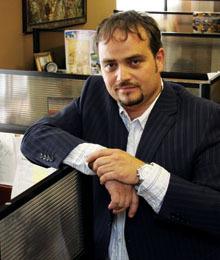 The Rossi family is a tight-knit group, who execute business matters with integrity, passion and diligence.